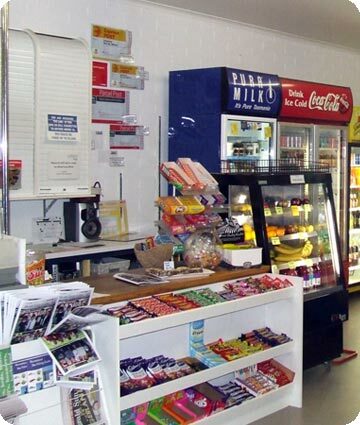 The Shop/Kiosk serves your everyday needs and more. Open all year round you will find a range of grocery items including fresh local meat, eggs, bread, milk, fruit, vegetables and other general groceries. The shop also sells cold drinks, ice creams, espresso coffee, cafe lunches, fish and chips, newspapers, magazines and much more. You will find a great range of fishing gear along with local fishing regulation information. Other store items include ice, bait, fuel, oil and Swap n' Go bottled gas for 8.5kg and 3.5kg gas bottles. Shop hours are 8am - 5 pm everyday (excluding Christmas day), with extended hours during warmer months. Check in can be made through our restaurant after close. View our accommodation page for room options.